Don't Feel Like Reading The Full Bosch Cordless Drill Review? Here Is A Quick Summary. This Bosch cordless drill comes with a compact & lightweight design and is incredibly easy to use. This Bosch drill features a two-speed transmission that can be adjusted to your preference and a motor brake for accuracy. It also comes included with an extra battery and carrying case. The DDB151-02 model is robust and you can count on its reliable performance, particularly for residential and light commercial applications. 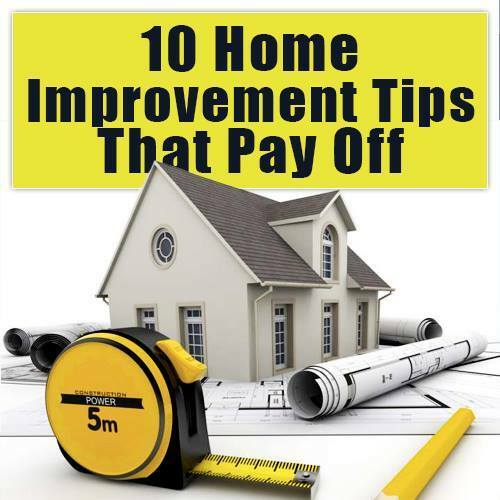 Cordless drills are an essential tool for any craftsman or homeowner. The versatility of these small machines is exceptional for light household projects to large carpentry tasks. The impressive thing about the cordless drills is that it enables for the completion of projects in an outside environment or if you are working somewhere remote where there is no electrical supply available. In today's market, there are so many brands and models of cordless drills available such as Makita drills, Dewalt cordless drills and Porter-Cable drill/drivers among others, offering you lots of options to choose from. Therefore, making it quite challenging selecting the right cordless drill, especially if it’s your first time investing in such tools. However, to make it much easier for you, we have prepared a detailed Bosch DDB181-02 review: one of the finest Bosch products on the market. Bosch is a brand that is becoming increasingly popular for their powerful, sturdy, practically designed tools, such as the Bosch DDB181-02. Besides the Bosch DDB181-02, there is a wide variety of Bosch cordless drills available in the market you can select from, according to your requirements and budget. These power tools can provide you with different degrees of performance – no matter what kind of job you want to do. In this article, we will have a look at the Bosch DD181-02 cordless drill – we will discuss its main features and how it can benefit you as a homeowner or craftsman. If you want to make your drilling/driving work fatigue-free, then the Bosch DDB181-02 18-Volt Lithium-Ion ½-Inch Compact Tough Drill/Driver Kit is undoubtedly worth considering. This compact drill from Bosch is incredibly lightweight and works efficiently with different materials. In addition, it comes with two batteries, a carrying case, and a rapid charger. The drill also features a built-in LED lighting that provides illumination when working in dark or enclosed areas. Without further ado, let’s check what makes this Bosch 18 volt cordless drill one to consider in our Bosch DDB181-02 Review. The Bosch DDB181-02 is an excellent choice for those looking for a basic cordless drill for carrying out small projects around their homes. Despite this tool being one of the lightest compact 18v drill drivers, this unit packs a significant punch in a small package. The Bosch DDB181-02 features dimensions of 14 x 3.5 x 11-inches and has a head length of around 7.1-inches. This tool is incredibly lightweight, weighing only 3.0 pounds. This Bosch 18v drill boosts of having the ranking of being one of the lightest and compact drills or drivers in its class. 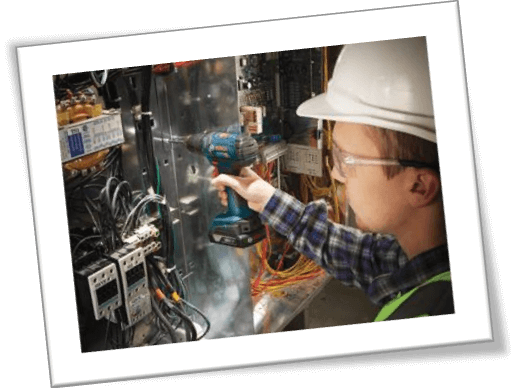 Therefore, making it an excellent choice for the electricians and HVAC professionals who do lots of overhead drilling/driving. When you compare the Bosch DDB181-02 with Bosch DDB180-02, the head length of Bosch DDB180-02 is more prominent, measuring around 7.6-inches. The Bosch DDB180-02 measures 16 x 15 x 5.5-inches and weighs slightly over 3 pounds. But just because the Bosch DDB181-02 is small compared to its cousin, it does not mean it is not dominant. Despite the Bosch DDB181-02 being lightweight, it also has an ergonomic hand grip that makes it more compact and convenient to use without experiencing hand fatigue, hence allowing you to work for longer periods. It also helps keep your drilling or driving accuracy intact. Its lightweight and ergonomic design make it ideal when it comes to maneuvering the drill/driver into tight and enclosed places. This Bosch DDB181-02 18-Volt Lithium-Ion ½-Inch Compact Tough Drill/Driver Kit also comes with two 18-volt SlimPack batteries. This 18 volt cordless drill from Bosch features a variable speed trigger with a safety lock-off. The Bosch DDB181-02 18v drill has two-speed transmission – with a low gear of 0 – 400RPM optimized for the heavy-duty driving and a high speed of 0 – 1300RPM optimized for high-speed drilling. This Bosch cordless drill is capable of delivering up to 350-In.lbs of optimized torque - it appears to serve its purpose quite well. And yes, this drill is not a hammer drill or an impact driver, but it handles drilling and driving in plastic, wood, and mid metal at a decent speed. Another impressive thing you will like about this Bosch 18V cordless drill is that it features a variable speed trigger which enables you to control the speed of the motor for accurate results. The Bosch DDB181-02 operates on 18-volt lithium-ion batteries which come with the drill. Both lithium-ion batteries feature a capacity of 1.5Ah – meaning that they are slim and lightweight. The impressive part is that it takes less than 60 minutes for the batteries to be fully charged. The drill/driver kit also comes including a charger and a soft case. Bosch claims that the cells can hold their charge for up to 18 months when not in use. Also, if you’re working for extended periods, you can easily plug in the second battery which comes with the kit, hence allowing you to continue with your work without interruption. Furthermore, the lithium-ion batteries are capable of delivering up to 50 percent added run time in frigid weather. How long can the batteries last? Well, this depends on different variables, including the type of materials drilling into, torque/speed, how often you use your drill, and much more. On average, the slim pack battery is capable of lasting up to 3 hours while fay pack battery can last 3 to 5 hours, or even more. For those who don’t know, Chuck is the portion of the cordless drill which tends to hold the bits. The Bosch DDB181-02 is uniquely designed to handle light-duty fastenings and drilling tasks. It features a keyless chuck design with a diameter of 1/2 an inch. This is an impressive feature since you won’t have any difficulties trying to find the drill bits for this Bosch cordless drill. You can use the chuck to hold drill bits ranging from 1/16 to 3/8 shank size. Bosch highly recommends this compact 18volt drill for plumbers as well as electricians who need a smaller drill for everyday applications. The maximum drilling capacity in wood is a 1-inch bit while in metal, it is around 3/8-inches. Besides its variable speed features, this unit also provides 20+1 clutch settings plus a motor brake for defined screw driving. The Bosch DDB181-02 features built-in LED light, so working in poorly-lit places will not be a problem at all. This allows you to be more accurate when carrying out your drilling and move at a faster rate – hence ensuring great output. As far as durability is concerned, a drill device needs to have a very durable housing which will avoid many vibrations from the unit. Thus making it last an extended period of time. This Bosch cordless drill is crafted with exclusive Durashield housing, hence making it ideal to work in harsh job site conditions. 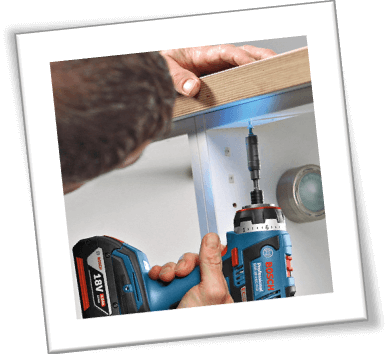 The Durashield housing protects your cordless drill from frequent damages, which makes it last for an extended period. In addition to Durashield housing, the Bosch DDB181-02 features Bosch’s Electronic Cell Protection – which increases the battery lifespan by preventing overheating, overloading, and deep discharging. The Bosch DDB181-02 18-Volt Lithium-Ion ½-Inch Compact Tough Drill/Driver Kit comes backed by a one-year limited manufacturer warranty, a two-year limited warranty on the battery, and a three-year ProVantage plan for the tool protection. This means that in case you tend to encounter any defects with the drill, you can always return it and Bosch will either offer you a replacement or fix the problem for you. Another impressive thing is that Bosch offers a 30-day money back guarantee. So, you can return the drill if you are not satisfied with the results. The battery takes less time to be fully charged. Compact and lightweight – weighing only 3.0 pounds. Robust and reliable performance, particularly for residential and light commercial applications. Features two-speed transmission that can be adjusted to your preference. LED lightning makes it perfect when working in tight and dark areas. Motor brake for accuracy driving applications. Features an ergonomic design and soft grip – which makes it incredibly comfortable to use for long hours. Comes included with an extra battery, which means higher productivity. Carrying case makes the transport extremely easy. Not the best tool for heavy-duty applications – best suited for domestic use and light applications. Compared to other similar or related products out there, its price is slightly higher. Slow battery charge time compared to other drills takes typically from 15 to 30 minutes. The Bosch DDB181-02 is an excellent choice for those looking for a compact, lightweight drilling tool which delivers more power than the 12-volt models. This machine has received so many positive reviews from the customers who have used it. At this time of writing, it features an incredible review rating of 4.4/5 stars at Amazon.com. Based on our Bosch DDB181-02 review, this cordless drill/driver delivers astonishing features at a reasonable price. This drill has two-speed settings for fastening as well as drilling. Also, it provides 350.in-lbs of torque for driving and up to 1300 RPM for faster drilling applications. The kit comes included with two lithium-ion batteries, a carrying bag, and a charger. Some people think this Bosch cordless drill is too expensive, but we would have to disagree with them. For what you’re getting in quality and features, the Bosch DDB181-02 is worth considering. Still not sure if the Bosch cordless drill is right for you? Maybe you should check out our cordless drill buying guide or compare the most affordable best cordless drills on this page, hope this helps you make an informed decision and you end up buying the right drill.